Do you have your heart set on getting a tablet for yourself or a loved one? 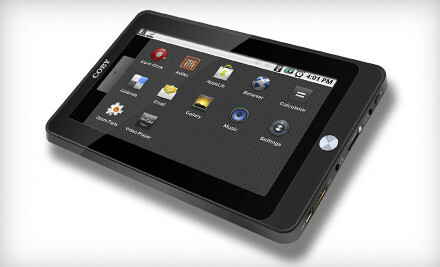 Right now you can grab this Coby Kyros Touchscreen Android Tablet for just $99. This is a 7-inch tablet powered by Android. IEnjoy musc, surfing the web, reading and thousands of other cool app options. See site for full details.